There have been few TV phenomena to match the one generated by David Lynch and Mark Frost’s ‘Twin Peaks’ in the early 1990s. Many have tried to come up to its unparalleled combination of darkness (but not too dark) and humour (but not too funny) and all have fallen a long way short. Even David and Mark themselves couldn’t repeat in series 2 or in the film ‘Fire walk with me´ what they themselves had managed in series 1. Even now, over 20 years later, new TV series are often heralded with ‘this could be the new Twin Peaks’. So far none have been. The reasons for the success of Twin Peaks are difficult to quantify (if they’d been easy then we’d have seen loads of copies with similar acclaim) but one major ingredient was the fantastic soundtrack, much sampled and still regarded as a classic in the genre. 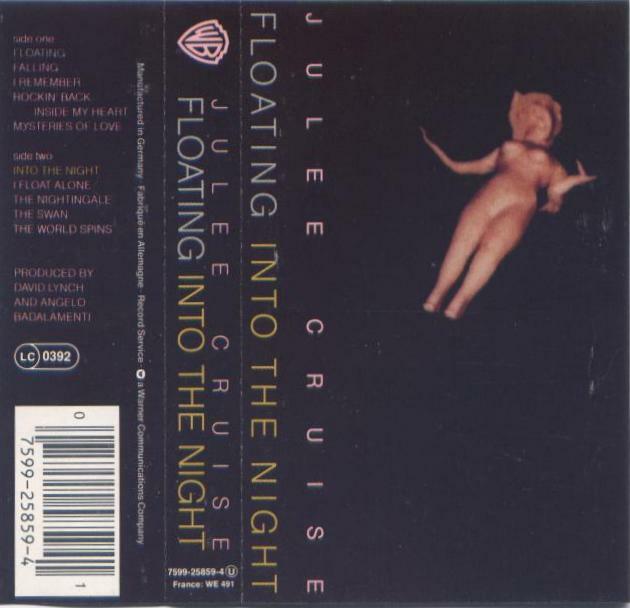 But no Twin Peaker’s music collection is complete without the soundtrack’s companion piece, released in the year before the TV series, ‘Floating into the night’ by Julee Cruise. In many ways a collaborative effort with Angelo Badalamenti and David Lynch the album features many of the tunes used in the series, including ‘The Nightingale’ and ‘Falling’, the instrumental version of which became the main theme of the TV show. Rather worryingly (if you’ve seen the series) one of the many people who receive special thanks on the album insert is ‘Bob’. You can now read about all 130 days of the cassette experiment on your Kindle. Simply pop to Amazon and search for 'The Great Cassette Experiment - The Joy of Cassettes' by Neil Pace. Cassette experiment day 24 - David Bowie "Heroes"